We will be holding the 2019 Alumni Dinner on Saturday 18th May at St Cross College. All Earth Sciences alumni and their partners are warmly invited to join us. There will be a particular focus on those who matriculated in a year ending with a 9, but graduates of all year groups are very welcome. 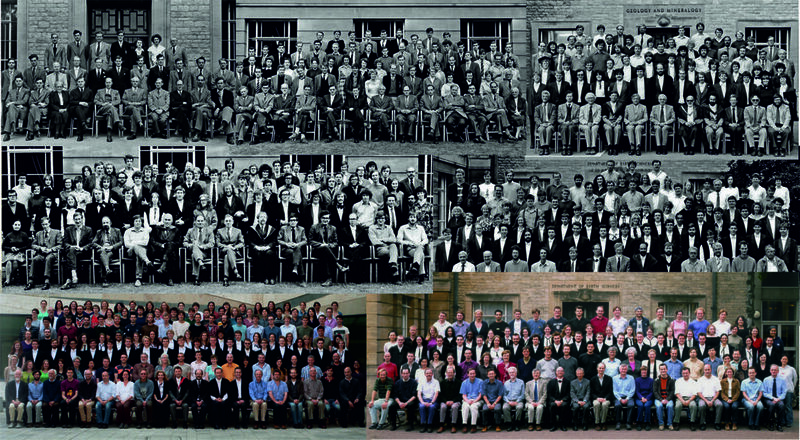 We have confirmed reunion groups from the class of 1969 and more! 3pm - Arrival. Teas and Coffee in the Department Atrium. Tour of the building on South Parks Road, including teaching and geological facilities. 4pm - Talk by Associate Professor Helen Johnson on oceans and climate. 4:30pm - Talk by Professor Joe Cartwright on 3D modelling of basins. 5pm - Drinks in the RCR with faculty, including HoD Chris Ballentine, Conall MacNiocaill, Helen Johnson, Shamita Das, John Woodhouse, and Professor Sir Alex Halliday. Table-top presentations will be available of recent mapping projects and an opportunity to meet the students. 6pm - Time to change. 7pm – Pre-dinner drinks at St. Cross College, St Giles. 7.30 – Dinner in the Main Hall at St. Cross College. Please choose the correct option(s) below to register.